Jaume Plensa. Cheekwood Botanical Garden & Museum of Art, Nashville, Tennessee. 2015. Photo: Dean Dixon. © Jaume Plensa. Courtesy Galerie Lelong, New York. One of the world’s foremost living sculptors, Spanish artist Jaume Plensa (b. 1955) has created large-scale artworks related to the human figure for public places around the globe. This exhibition, the artist’s largest to date in the United States, features numerous indoor as well as outdoor installations, engaging viewers even before they enter the Museum. 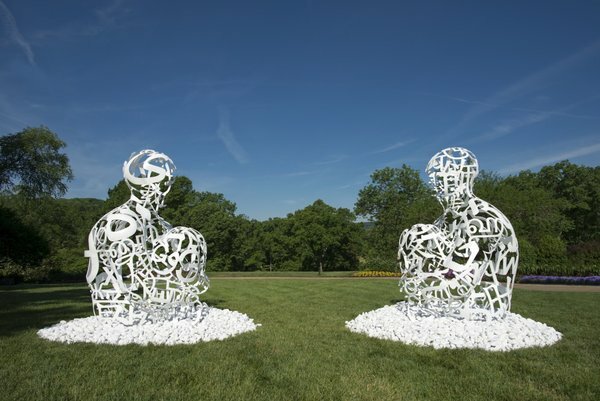 Interested not only in the visual arts but also in literature, psychology, biology, language, and history, Jaume Plensa creates sculptures and installations that unify individuals through connections of spirituality, the body, and collective memory. He uses a wide range of materials—including steel, cast iron, resin, light, sound, and more—to lend physical weight and volume to multiple components of the human condition and soul. This exhibition was organized by Cheekwood Botanical Garden and Museum of Art.